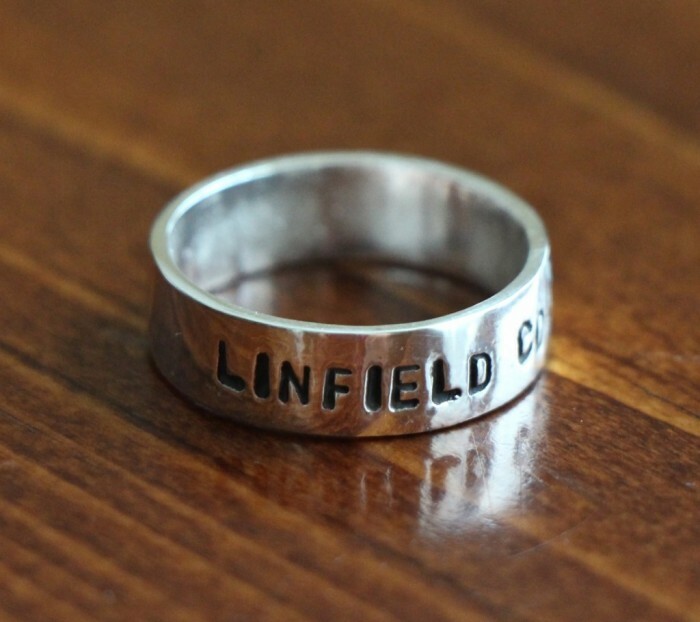 Men’s and Women’s class ring personalized with a name, graduation date, year, school or message- perfect gift for any graduate to celebrate the next chapter in their life. Sterling silver, hand stamped ring. Band measures 6mm- Personalize with up to 30 characters. Set is available in sizes: 5, 6, 7, 8, 9, 10, 11, 12, 13, 14. 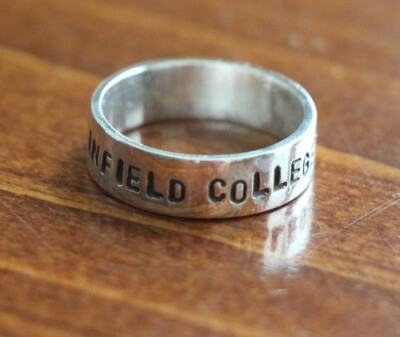 Categories: Collections, Graduation & Teacher Jewelry, Hand Stamped Rings, Men's Gifts, Rings, Rings for Men. 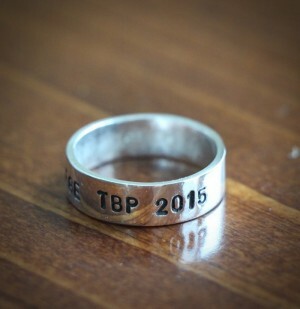 Tags: graduation ring, hand stamped ring.